Check the Climate for Halkidiki before you book your next Sarti holiday. Monthly Sarti weather averages include figures for temperature, rainfall and sunshine. Sarti experiences a typically Mediterranean climate, and boasts hot dry summers and shorter wetter winters. 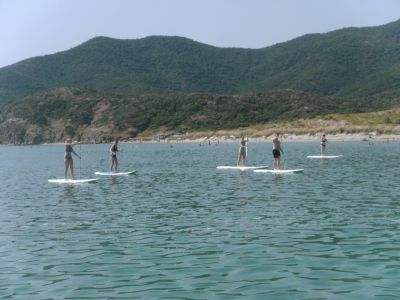 The weather in Sarti in short: May and June see daytime highs of 25C – 29C, with as much as 10 hours of sunshine, whilst temperatures in July and August rise to 32C. During these peak season months, Sarti basks in up to 11 hours of daily sunshine, humidity is high, and the Sarti Beach sea temperature reaches 25C. Autumn continues to be very warm, with September and October highs of between 22C – 28C, and up to 8 hours of sunshine each day.